When it comes to maintaining a garden or lawn, most people imagine fertilizing, watering, and trimming their yards extensively during the spring and summer months. Yet how you care for your garden during times of low growth is every bit as important as what you do during the most vibrant months. Pests, fungus, and other threats to your plant often hibernate underground during the winter, leaving them free to attack your plants as soon as temperatures rise again. Meanwhile, the cold air, limited sunlight, and scarce moisture leaves grass and garden plants short of nutrients and moisture, limiting their ability to survive such threats. The following winter care tips will help you push back against these risks, keeping your garden healthy and vibrant throughout the year. For annual garden plants, it’s important to provide a layer of organic mulch. Not only does mulch contain critical nutrients to keep plants strong in the winter, but it also helps hold in heat and moisture, reducing the threat from the season’s cold, dry conditions. You don’t necessarily need to add more mulch if you already spread a layer out in the summer, but you should examine this layer and see if it has become dry, thin, or decomposed in any places. Replace gaps in your mulch cover wherever they appear, and your plants will have a solid foundation for the season. 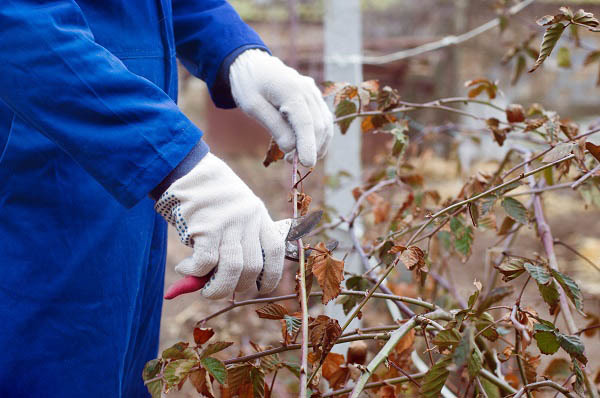 If your garden contains large numbers of trees, it’s important to prune any branches that become injured during the winter. This prevents the plant from wasting scarce nutrients and moisture on repairing damaged areas, and it makes it more difficult for diseases to get inside. If you have camellias, you should also disbud them regularly. Given the mild Texas winters, it’s still hot enough for pests, weeds, and fungi to attack your plants. You should thus weed your garden and lawn on a regular basis, as well as watch for signs of insect infestation or fungal infection. Make sure to water regularly as well. For more information on effective landscape maintenance in Fort Worth Texas, visit our website today.